Amdowas have a strong penchant for this dark green, pungent, garlicky, edible plant species that we know as “Chu-tse” – the common term being “garlic chives”. For me “chu-tse” synonyms with – “deliciousness,” “decadence,” “indulgence,” – quite easy to get me salivating. 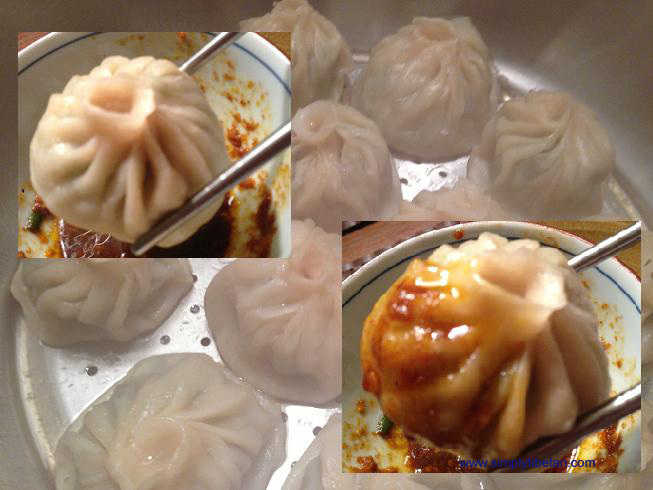 Chu-tse momos and shabaleys are high on our list of our favorite eats. Growing up in Dharamsala, we always had chu-tse growing in my parent’s vegetable garden – abundantly. We always had plenty to eat and plenty to share. I remember a long list of Amdowa friends awaiting their weekend chu-tse delivery turn. In mid-late summer, the chives will start blooming white flowers – the long stalks with white flower buds, stir fried with tofu or shredded meat, make a beautiful and delicious side dish too. Later, when I moved to southern India, I kept a couple of pots of chives on the balcony of our apartment building – courtesy a dear monk friend at Gomang Monastery in Hunsur. In south India, the chives grow year round. Every few weeks, I would snip the chive leaves short to about 1-2 inches giving me enough for a meal of fresh chu-tse momos. And they keep growing back – kind of like your lawn grass but better because you can eat them. Chives are perennial plants – in warmer regions, they stay green year round and in colder regions, they die off when winter sets in and re-sprout in the spring. Now, living in Virginia, I’ve tried growing chu-tse in my little vegetable patch but I haven’t had much luck with it so far. My neighbour had some growing in her yard and she passed them on to me as she didn’t know what to do with them. They grew well the first year but tasted very bland. A friend told me that I need to use animal manure based fertilizer – but I was unsure. So I got rid of that batch and tried growing some from seed this year. But they didn’t turn out very well. So, I am back to square one for next year – still not quite ready to give up on it yet. 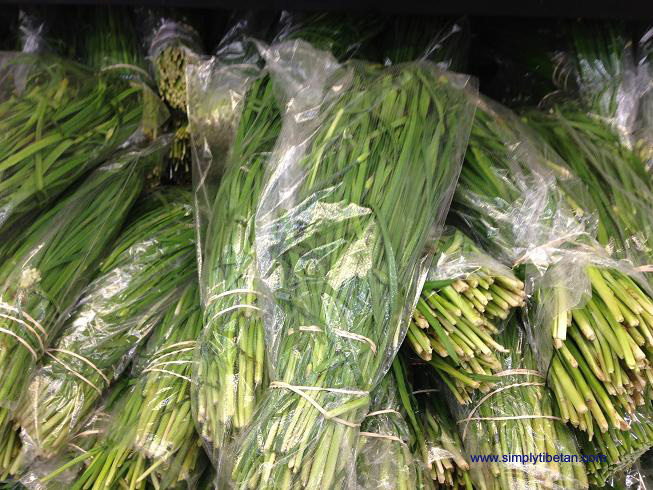 Note: The bright green tube shaped chives that you find in regular American supermarkets is not the same as “garlic chives” that we use. These develop pink flowers and are used more as a herb – the flavor & texture is not the same. The asian chives are flat leaved and develop white flowers. 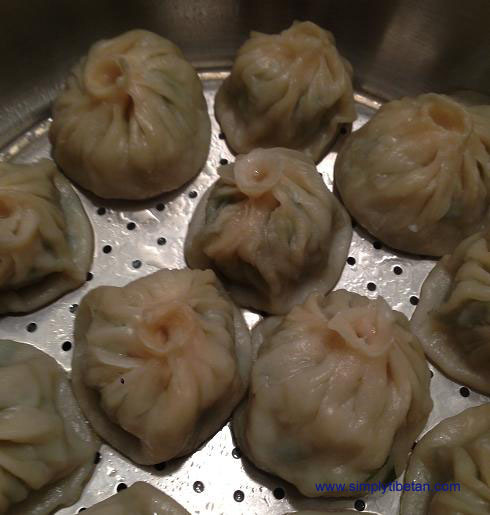 Follow the general format for momo recipe posted here https://simplytibetan.com/2013/02/24/momo/ – the difference is only in the filling. 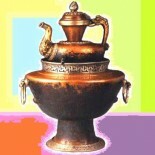 Put the flour in a large bowl, make a well in the center. Slowly add the water, and start mixing it with the flour – use just enough water for the dough to hold. Then knead until it is firm but supple. The more you knead the better the dough. Rinse and clean the chive leaves thoroughly. 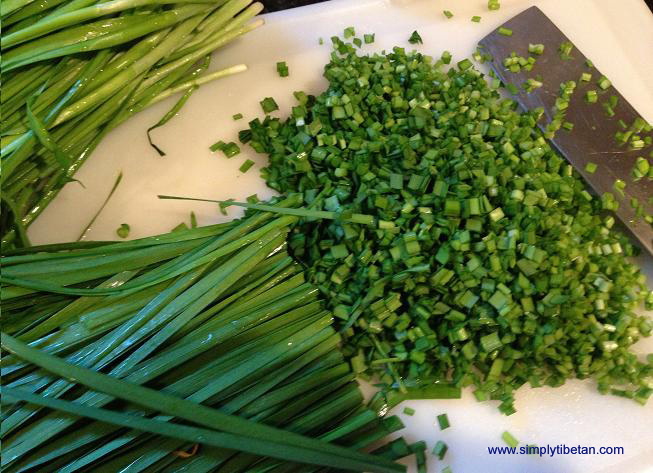 And slice the chives into small pieces … about ¼ inche length. Divide the dough into manageable portions. Shape one portion into a long roll and start pinching of small portions, a little smaller than a golf ball from one end. Shape each portion, rolling them in both your palms into a ball. Then flatten each ball with the palm of you hand and using a small rolling pin, shape them into approximately 3″-31/2” round flat round circle. This is your momo skin. 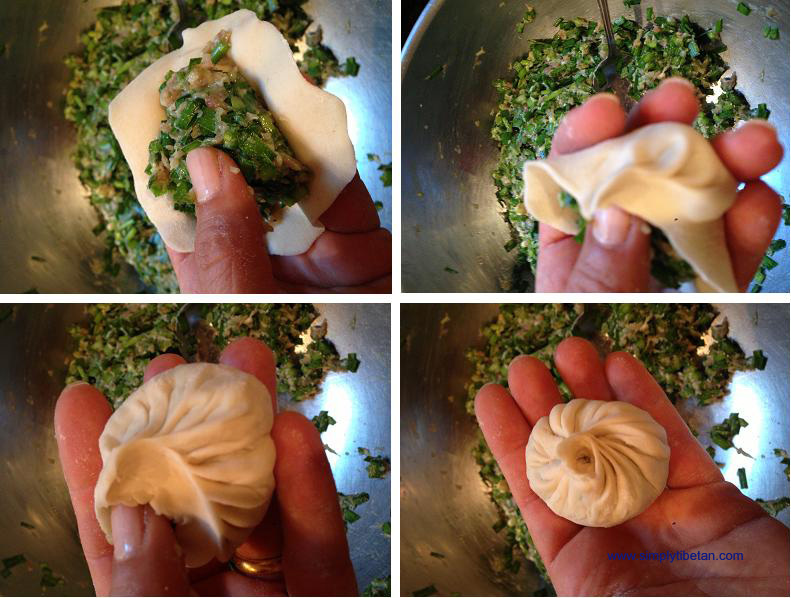 Take one piece of momo skin, add a teaspoon of the filling and then shape your momos, starting from one end and slowly pinching, wrapping to the other end. Try not to not overlap the skin too much so that you don’t end up with a thick layer of folded dough on the top. This part takes some practice. For the novice – a little less filling makes it more manageable. Here’s two short videos to help you see the process. Oil your steamer tray, and line up the momos in the tray close enough but not touching. 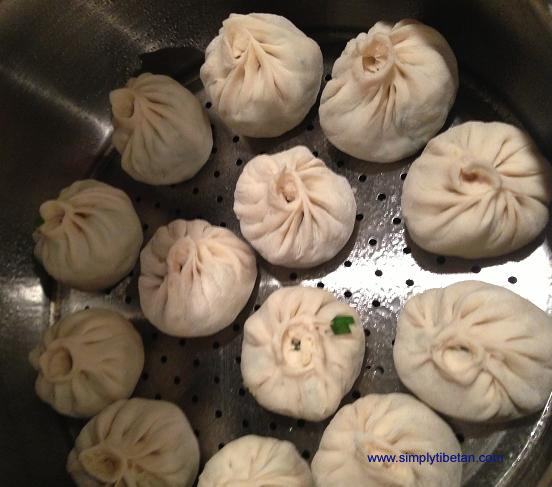 Once the water starts boiling in the bottom steamer pot, then stack up the steamer trays on it – your momos should be done in about 15 minutes. Bon Appetit !! Nyepo nang go !!! I also have tried to watch the videos, but they are marked as private. Can you release them for viewing? HI,THank you so much! I tried watching both videos but it says they are private. Is there any chance you could share the videos, I have been searching everywhere for round momo folding method. I am planning to grow chive this year – any tips? Garlic is planted on the shortest day of the year (Dec 21st) and picked on the longest day of the year (Jun 21st). There are two types, hard stem and soft stem, and within that many varieties. If you like strongly flavored, when you find some for sale, save cloves and plant them between Thanksgiving and Dec. 21st. Then, every year when you pick them in June, leave the little ‘pearls’ at the base of the plant in the ground, and you will have garlic forever. Anyway, this works in Northern California. I wish I could make my dumplings look that beautiful. They are gorgeous! Oh this looks so good. I have noticed that by the time I have finished reading the recipes, my tummy is growling;) plus I want that item now, not having to do the actual cooking part….I bet this is beyond delicious…. 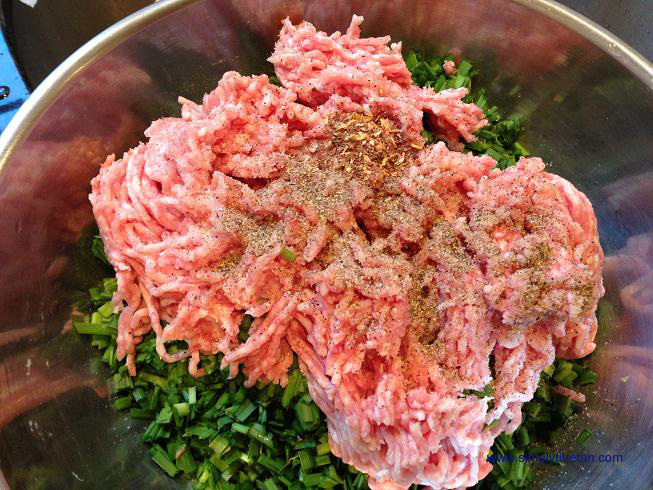 This entry was posted on September 22, 2013 by simplytibetan in Recipes.